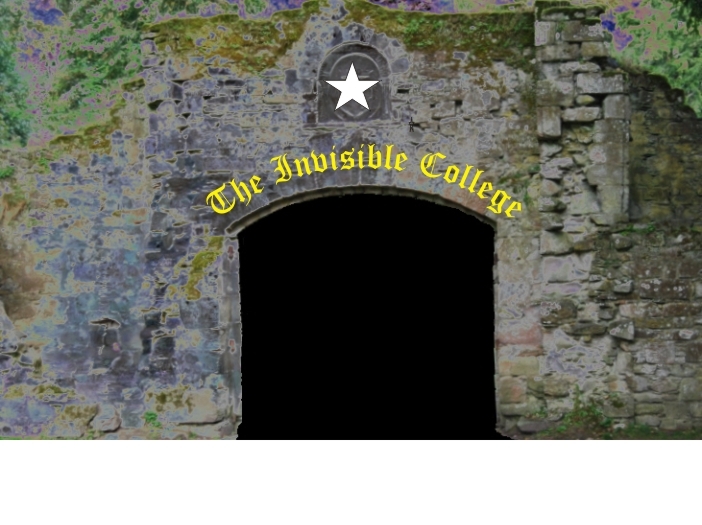 Set up by Adrian Gilbert, The Invisible College website is a unique institution. It fulfils the clear need to bring together separate areas of interest into one space. As an entirely independent enterprise (and therefore free from the pressures of peer-group conformity) it provides a platform for new and sometimes controversial ideas to get an airing. At the same time it encourages high standards of thinking and writing in areas which have previously been bedevilled by woolly, wishful thinking. In this way it emulates the original Invisible College of 1643. This was an esoteric institution that provided an environment in which forward thinking men could challenge the received opinions of their day. Acting independently of church and state, and outside of existing academic institutions, it was mid-wife to what we have since come to refer to as ‘The Enlightenment’. Today we live in times of ever greater and more portentous change. Though we like to think of our civilization as enlightened, it is clear to anyone who digs even a little below the surface that all is not well with the contemporary world-view. The mental constructs to which we give the name ‘science’ are entirely inadequate to describe whole areas of human experience loosely labelled as ‘religion’. Conversely, for the most part religious teachings and practises remain rooted in the middle ages. Unable to accommodate the many startling discoveries of modern science, they rely on blind faith to retain adherents. All too often this faith acts as a barrier to real self-development, encouraging, as it does, a naȉve view of the world and universe in which we live. The sorry outcome of this divorce between fact and feelings is a chaotic world devoid of balance. It should be seen that atheistic materialism, the denial of the world of spirit, is not the answer and neither is religious extremism. In their place we need a third way: one that while respecting both science and religion does not treat either as absolute. The new Invisible College addresses this problem. Invisible because it inhabits the internet rather than a collection of buildings, it is intended to be a forum for like-minded people who are intent on breaking free from the dominant mind-sets of the 21st century. It publishes articles, videos and books on a whole range of subjects from ‘heretical’ physics through ancient mysteries and self-development to the study of bible prophecies. This is the second incarnation of the college on the web but it is still in its early stages. We ask you to be patient while the next stage of the work takes shape.